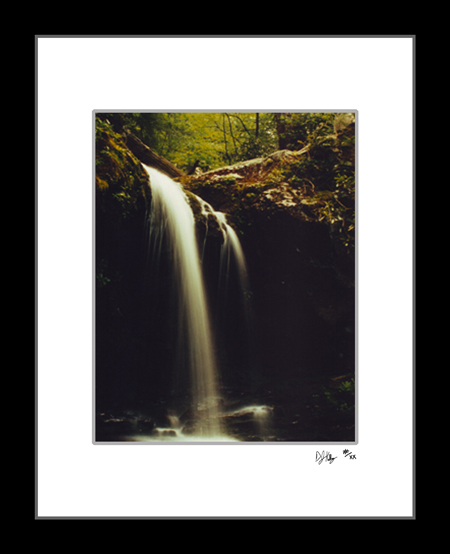 This photograph of Gotto Falls was taken after a hike off the Roaring Fork Motor Nature Trail in the Great Smoky Mountains National Park in Tennessee. The long exposure coupled with the uneven lighting gives the waterfall a magical appearance as the waterfall tumbles out of the light and into the dark grotto below. Grotto Falls provides the perfect landscape for a summer picnic with plenty of shade and an ever present cool mist.